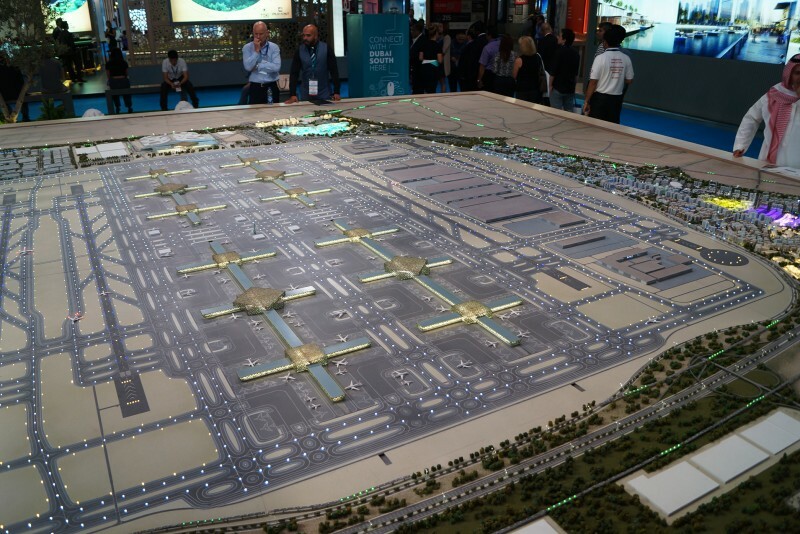 Dubai South, previously known as Dubai World Central, is a master-planned city centred on the Al Maktoum International Airport, which will become the world’s largest airport upon completion. The airport is already operational and will have the capacity to handle over 200 million passengers and 16 million tonnes of cargo annually. One-click links to properties currently on the market in Dubai South. Dubai South is directly linked to Jebel Ali Port via a dedicated logistics corridor that forms a single customs-bonded free zone spanning approximately 200 square kilometres. The zone provides businesses with the opportunity to access more than 6,400 registered companies, including over 120 of the Fortune Global 500 enterprises registered within the zone. A multimodal logistics platform, Dubai South has direct access to the UAE’s main trans-emirates highways, the future Etihad Rail network, Al Maktoum International Airport and Jebel Ali Port, providing unmatched speed, connectivity and flexibility. Although Dubai South is not presently served by the Dubai Metro, the planned extension to the Red Line linking Nakheel Harbour & Tower station to the Expo 2020 site will be completed by May 2020. There will be a new station at the Expo site by this time so that Dubai South will be connected to all parts of the metro system. After 2020 the line will be extended with a further three stations on the way to Al Maktoum International Airport where trains will terminate. The 715 hectare Residential City lies in the north-eastern quarter of Dubai South and will provide high quality accommodation for middle income households working within the giant urban aviation community. 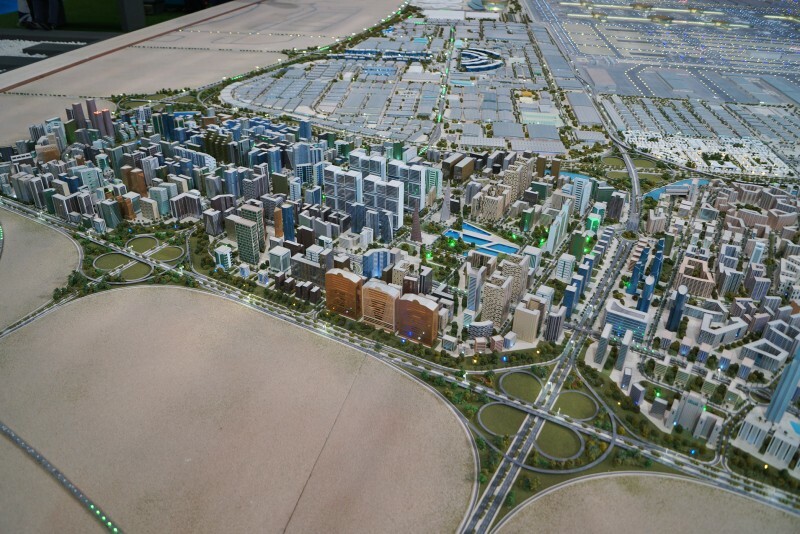 Housing around 250,000 people and employing around 20,000 more, Residential City will be linked to the Peripheral Road that runs around the Al Maktoum International Airport allowing easy access to other parts of Dubai South and surrounding developments. 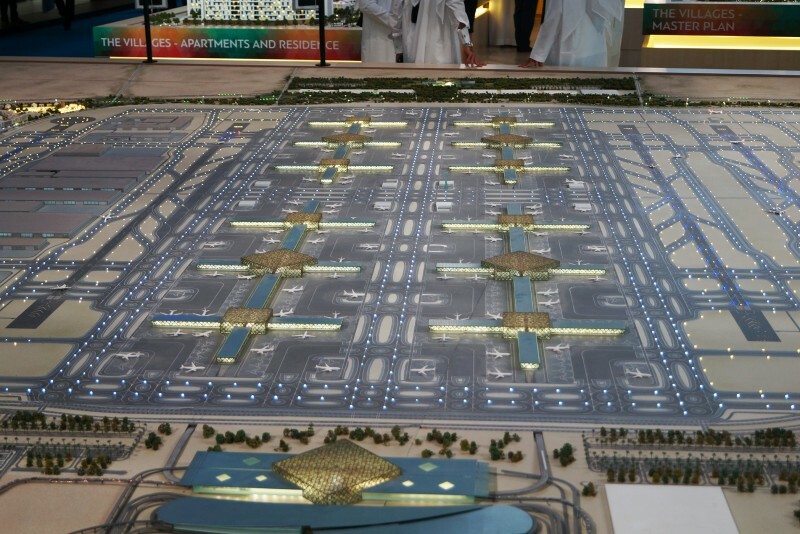 The district is geared to service the new airport and its main facilities, providing suitable and appropriate housing for employees and their families, as well as a variety of services along its main spine including three hotels and shopping malls. Residential accommodation will be in high quality apartment buildings ranging from five to ten storeys. Most of the higher buildings are concentrated along Residential City’s main spine. Plot sizes range from 2,200m² to around 12,000m². A 75 hectare area in the south-east corner of Residential City will be home to a showpiece Staff Village, a purpose-built community which will house around 43,000 of Dubai South’s blue-collar staff. The Village will have its own restaurants, community facilities, shops, service centres and recreational and sports facilities and have direct access to relevant warehouses, buildings and offices. At the core of Dubai South is the light rail system that runs along Residential City’s main spine, serving both its eastern and western edges. A comprehensive and integrated road network will cater for easy accessibility between the various areas within the district. The first two communities to be built in Residential City are The Pulse and The Villages. The Pulse comprises 236 town houses to be completed by mid 2019. These will be followed by 152 apartments in a project called The Pulse Boulevard Apartments, and 60 apartments in a block to be known as The Pulse Residence. The Villages will contain 254 town houses to be completed by December 2018, and two apartment buildings, The Villages Apartments and The Villages Residences housing 209 and 217 apartments respectively. These are to be completed by June 2019. In May 2015 the first phase of the MAG 5 residential development was launched. This will comprise 1,118 apartments in 13 seven-storey buildings that are scheduled for handover in 2018. In July 2016 a Dh300 million contract for infrastructure works for Phases 1 and 2 of Residential City was awarded to Tristar Engineering & Construction. The works are due for completion by the end of 2017. Residential City should have 6,000 new homes ready to move in by 2020. Still under construction, Dubai South Commercial City will cover an area of 795 hectares, and consist of buildings up to 45 storeys high. The district is expected to employ around 150,000 people and is separated into eight zones: The Urban Village, Lake District, The Seven Towers, Central Park, Creative Commercial District, Grand Central, Business District, and Residential Crescent. The total estimated population is 450,000. Dubai South Logistics City is situated adjacent to the Al Maktoum International Airport and enables fast-cycle logistics businesses to better control their inventory and create greater efficiencies across their supply chain. With the necessary infrastructure, space, facilities and access in place, it is perfectly suited as an effective distribution or global supply chain hub for the Middle Eastern, Southeast European, CIS, Indian sub-continent and African markets. 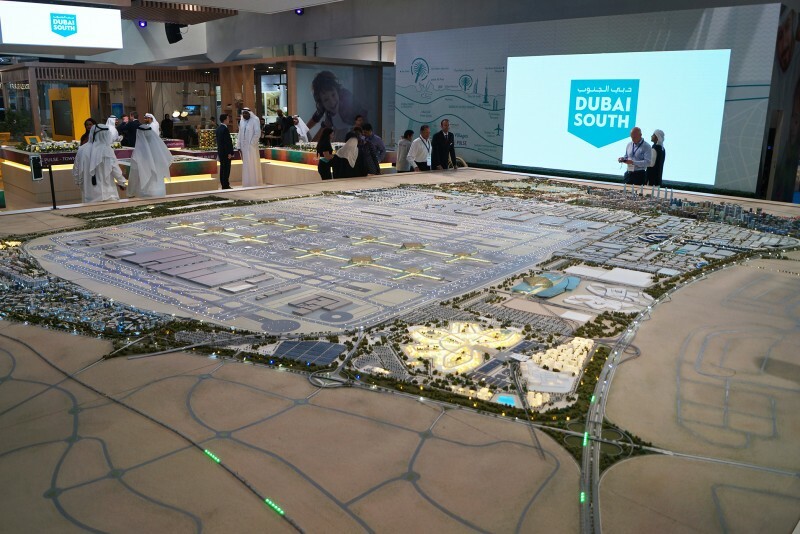 Dubai South Aviation City, when completed, will span an area of 7,500m², making it the world’s largest maintenance, repair and overhaul (MRO) centre. It is expected to cost US$ 12 million. Aviation City expects to accommodate all aviation-related operations, manufacturing and associated industries, Fixed Base Operators (FBOs), maintenance, repair and operations (MROs), aviation support services, design and consultancy, products and parts, light manufacturing units, and high technology industries. 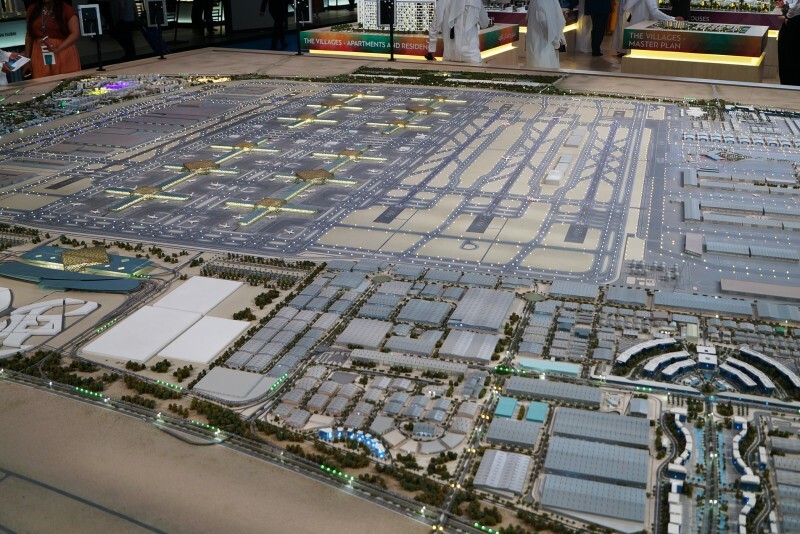 Beyond its aviation focus, the district will also offer well-defined zones for sectors such as hospitality, education, research and development, and mixed-used development. 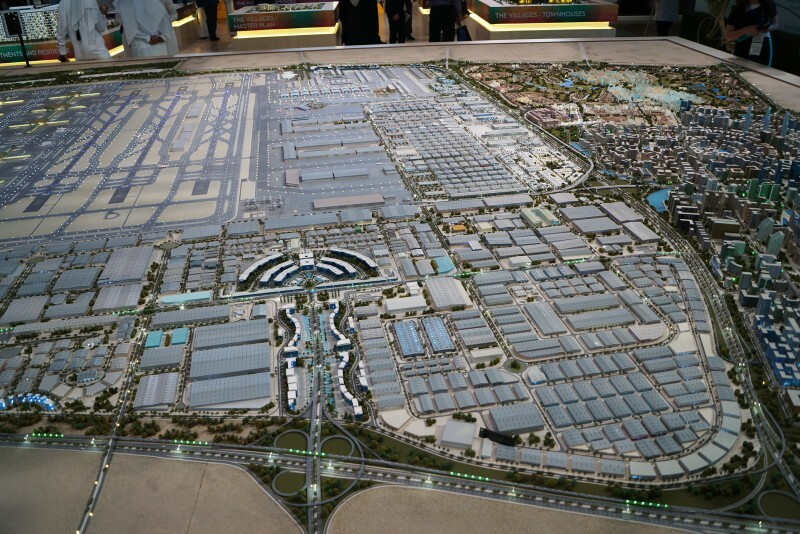 Dubai South Aviation City is separated into four zones: Heliport, Educational, Academic and Industrial. Construction has already begun and it is expected that operations will grow in line with cargo and passenger numbers. In June 2016 the government added new land plots in Aviation City to the freehold areas in Dubai South available for non-UAE nationals in Dubai. All we know at the moment is that the Humanitarian City will be used as a base for emergency response organisations such as the UN and IHC. This is to be an 18-hole golf course with associated retail, residential, and office components. The course should be ready in 2020. 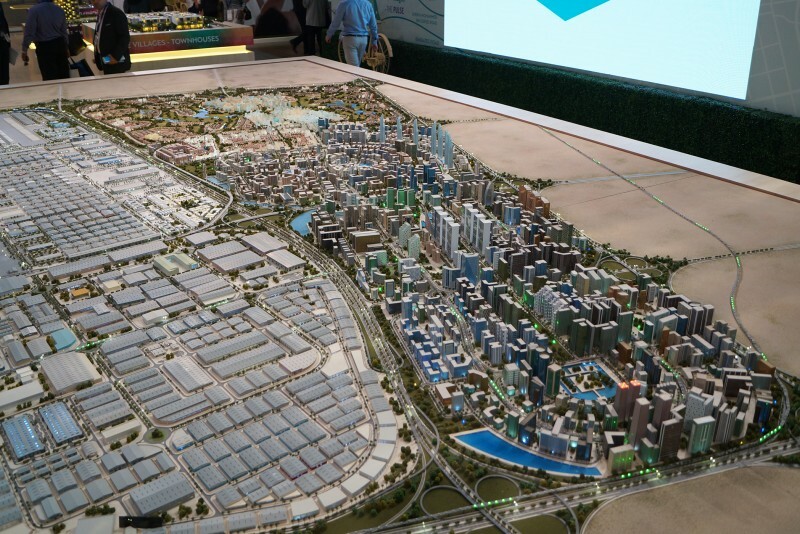 Dubai South Golf City will be located in the south-western corner of the project and will cover an area of almost 2,000 hectares and be home to an expected 160,000. In Early 2019 Emaar released three- and four-bedroom villas at prices starting from Dh1 million. 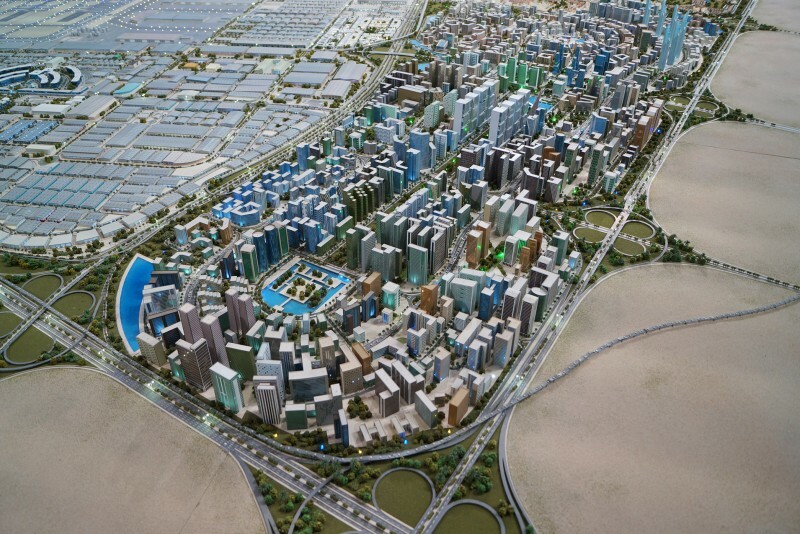 Located in the northern corner of Dubai South at the intersection of Sheikh Mohammed Bin Zayed Road and Jebel Ali-Lahbab Road, Exhibition District will provide ‘one of the most advanced stages for major exhibitions and events, with phase one of the 300,000m² development offering 120,000m² of exhibition space at the centre of the 300 hectare landscaped site’. 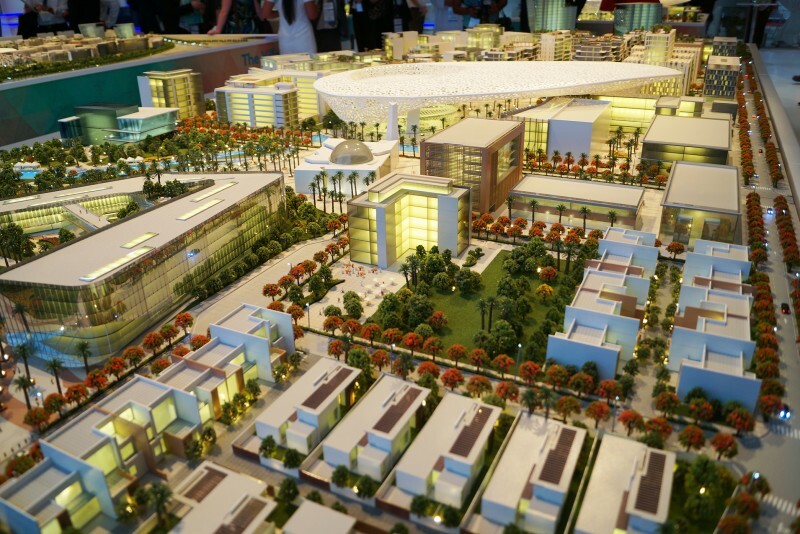 In 2020 Exhibition District will be hosting the Dubai World Expo. 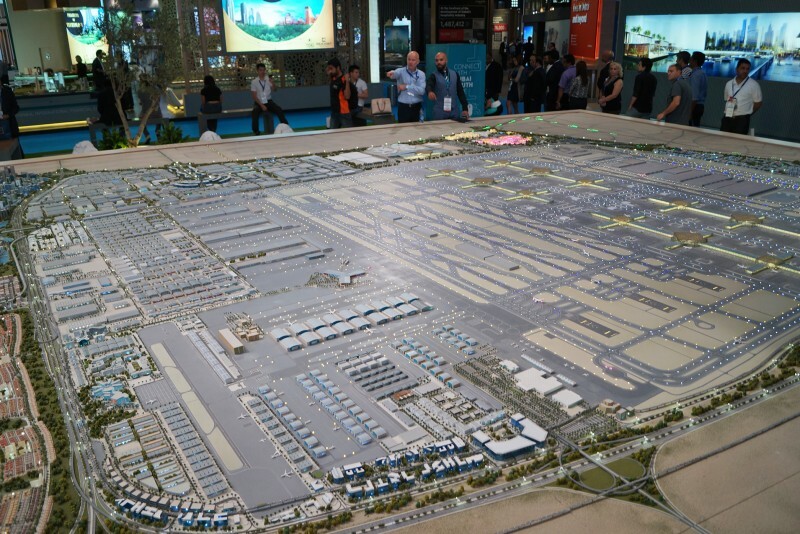 Its location and integration with Dubai South's larger ‘aerotropolis’ concept enables the Expo to leverage the connectivity to Al Maktoum International Airport as well as its logistics, aviation, residential and commercial facilities. Located at the heart of Dubai South, the Al Maktoum International Airport (AMIA) is Dubai’s second airport. It has been operating cargo and passenger flights since 2010 and 2013 respectively and by 2022, when completed, will become the world’s largest airport with an ultimate capacity exceeding 220 million passengers and 16 million tonnes of cargo each year. The very first residential projects in Dubai South were due for completion by the end of 2015 but that target has been missed. The contract for infrastructure groundworks was awarded in July 2016, so the probable completion date will be sometime in 2019. A Dh363 million contract for the construction of the Dubai South Mall was awarded to Arabtec by the joint venture between Emaar Properties and Dubai World Trade Centre. 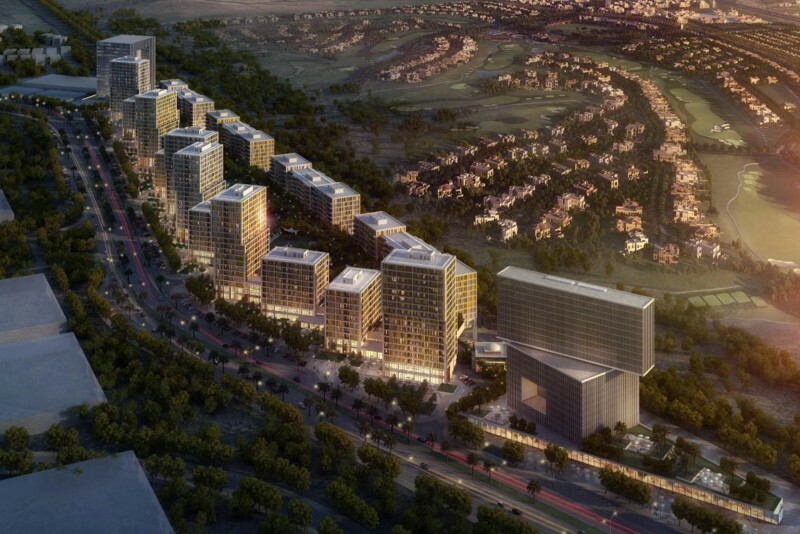 The mall will have a built-up area of approximately 83,000 square metres and be located in Dubai South. Project work began in August 2017. We currently maintain records for 41 sub-communities in Dubai South. 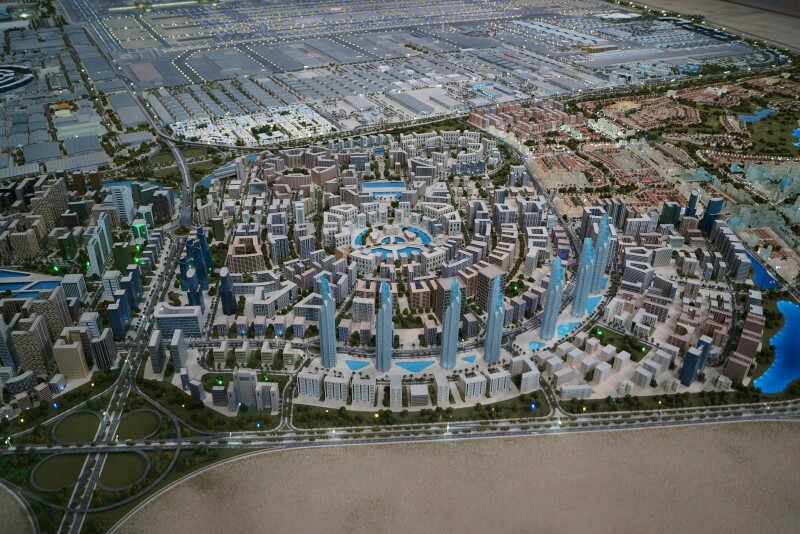 We currently maintain records for 8 building developments in Dubai South. View all Dubai South building developments.